Debra Lynn Donahue obituary. Carnes Funeral Home. Debra Lynn Austin Donahue, 58, of San Leon, Texas, went home to be with Our Lord, shortly after noon on April 9, 2018. She was born on December 4, 1959 in the US Naval Hospital in Key West, Florida to mother Evonne Patterson Austin and father James Douglas Austin. In her mid-teens this beautiful young lady met and fell in love with a young man who she believed to be her soul mate. Two years later they were married on April 17, 1976. Over the next forty-two years they were blessed with three marvelous children and two wonderful grandchildren. Debra was a very passionate individual. She had an intense love of family, music, theater, animals, and caring for and serving the people of her community, always selflessly putting the needs of others before herself. Many of these traits she instilled and passed on to her children and they are now paying it forward in their lives. Debra served the Bayshore area citizens of Bacliff and San Leon, Texas for 16 years (1989 - 2005) as a member of the San Leon Volunteer Fire Department. In those 16 years, she served as a Firefighter, later advancing to the rank of Lieutenant, and then Captain. She also served as a Medic, Training Coordinator and Department Secretary. Over the last eight years Debra had been battling numerous complications from Advanced Diabetes. On April 9th 2018, she hung up her gloves and went peacefully home to be with Our Father, our family and her many beloved kitties. 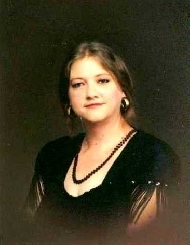 She leaves behind her husband Kenneth Donahue of San Leon, TX; children, Renee Evonne Donahue of Dickinson, TX, Mark Adam Donahue of San Leon, TX, and Michael Scott Donahue of Alvin, TX; Grandchildren Madison Lynn and Kenneth Alexander Donahue also of Dickinson, TX. She also leaves behind her mother, Evonne Randolph of San Leon, sister Laura Massey of Texas City, TX, brother Richard Austin of San Leon as well as a multitude of cousins, nieces, nephews, grandnieces, grandnephews and wonderful friends. Debra’s final resting place will be in the Galveston Memorial Park Cemetery in Hitchcock, Texas overlooking the final resting place of her paternal grandmother Eunice Craft and step-grandfather Cloyd “Pappa Jerry” Craft. We ask that in lieu of flowers, a donation in her memory be sent to the HOUSTON SPCA, an organization that was very special to her heart. Viewing will be held on Saturday, April 21, 2018 from 10am to Noon with Services starting shortly afterwards at the Carnes Funeral Home, 3100 Gulf Freeway, Texas City, Texas. A reception will be held at the Bacliff Volunteer Fire Department Station, 600 Grand Avenue, Bacliff, TX at 3pm so family and friend can celebrate her life, love and compassion for all those around her.